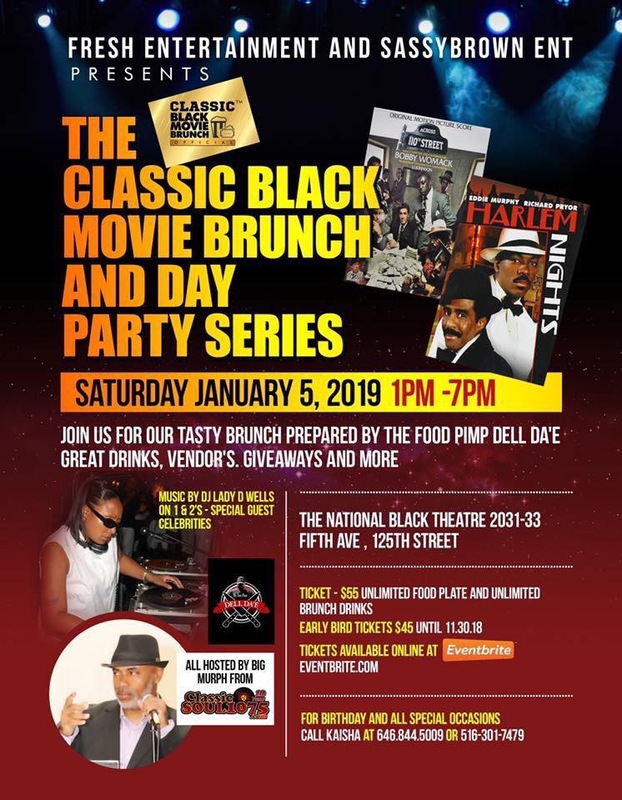 The Classic Black Movie Brunch and Day Party Series - continues at the National Black Theatre in the heart of Harlem NY . What better place for the Classic Black Movie presentation then the National Black Theatre. We are showing two classic films , delisious brunch , great drinks , DJ LADY D WELLS spinning all the hits , Birthday Packages , giveaway's , photo booth and vendors for your shopping pleasure and more surprises .